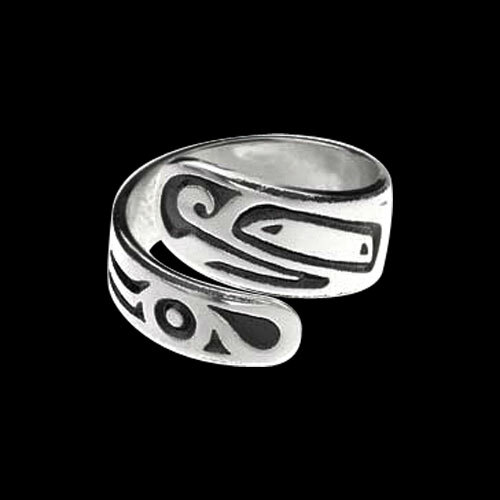 Sterling Silver Frog Small Ring by Metal Arts Group. Living on both water and land the Frog is known for his adaptability and wisdom. Acting as a great communicator of the people and as a result of it's vocal warnings the frog is seen as a guardian. They are also said to have supernatural healing and transformation powers. 2.8 x 0.3 inch Sterling Silver Frog Small Ring by Danny Dennis. Made in USA.